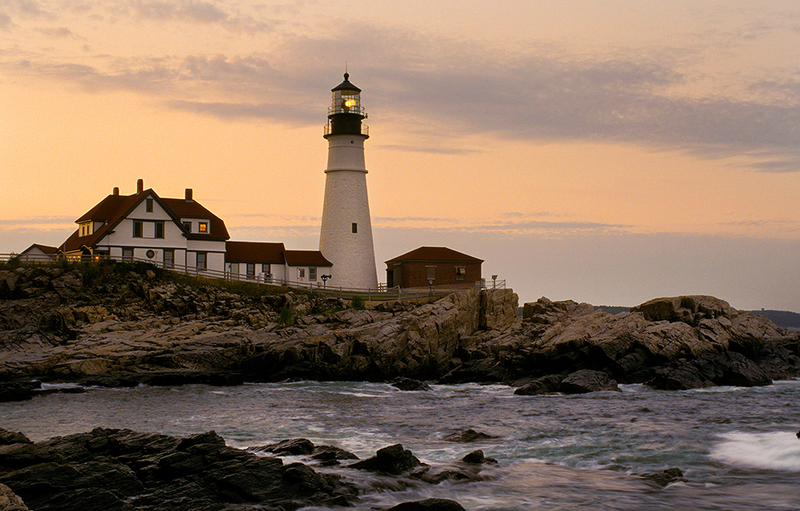 New England is known as the birthplace of our current Coast Guard. Shortly after the Revolution, President Washington established the beginning of the Revenue Marine Service of ships in Newburyport, Massachusetts where the first revenue cutter was built. Today Newburyport is recognized as the birthplace of the Coast Guard. The Revenue Marine Service used its revenue cutters in times of war and for law enforcement in protecting our shores. It wasn’t until the 1830s that these fast vessels would be used for rescue purposes, mainly out in open waters off shore where lighthouse keepers were unable to help in reaching those wrecks. During the eighteenth and nineteenth centuries, New England became a major commerce region for the shipping, fishing and whaling trades. More lighthouses were built along the east coast to accommodate the needs of these industries in providing guidance to warn mariners of dangerous reefs, ledges, and shoals. 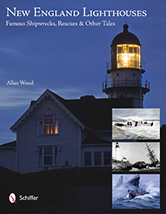 However, with New England’s surprising and often fierce storms, many shipwrecks still occurred. During the Civil War, the Revenue Marine Service received its official designation as the Revenue Cutter Service. After the Civil War, smaller cutters were also built to patrol more closely to the coastline and were responsible for saving many lives from wrecks within harbors, or later as part of rescue coordination efforts with personnel from lighthouses and lifesaving stations. As traffic dramatically increased, which also included tourism after the Civil War, there came the need for lifesaving stations to be built along the shores within a few miles of lighthouses, and from one another. Where the lighthouse keepers and their assistants made rescues near the lighthouse where they were stationed, lifesaving stations covered a much more vast area and could assist a larger number of distressed survivors on a wreck near the shore. They were more mobile and were specifically trained in their ability to rescue survivors. This idea of having shore-based stations began with trained volunteer services set up by the Massachusetts Humane Society and spread to each state’s Humane Society. Lightships were also used in the late 1800s as mobile floating lighthouses at dangerous locations, or in busy shipping channels where it was not possible to build a lighthouse. 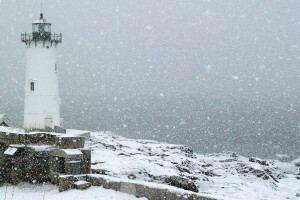 Both the Lighthouse and Life Saving branches were responsible under the US Lighthouse Service. The Revenue Cutter Service was initially involved in rescue efforts on those wrecks out in open waters, and then as part of coordinated rescue efforts with the Lighthouse and Life Saving Services. After the Civil War, there were three branches of marine rescue service that were established to aid those in distress. They were the Lighthouse Service, the Life Saving Service, and the Revenue Cutter Service. Both personnel of lighthouses and lifesaving stations were funded by and reported to the US Lighthouse Service. Many events involving maritime rescues occurred near our lighthouses, and it is how most of us remember. What is important is to understand is that the three branches were all involved in saving lives along the coast. By the late 1800s they began coordinated rescue efforts together in helping to increase chances of saving more lives. As they continued to aid stranded survivors individually and at times alongside one another, Congress finally combined the services into what we now know as the Coast Guard in 1915.